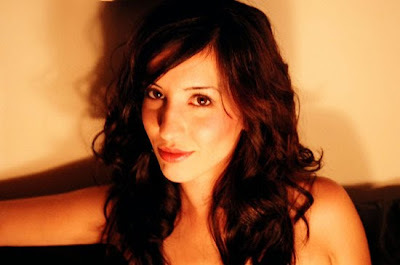 Jazz vocalist Gina Saputo, returns to Steamers and the Friday's "Lover's Soire" is gonna rock! With Ramon Banda, Matt Politano, David Miller, Larry Salzman. Gina Saputo is a vocalist, entertainer, clinician and arranger who has already established herself as one of the rising young stars on the scene. From there, Gina attended USC's prestigious Thornton School of Music. Gina was among seven musicians chosen by Herbie Hancock, Terence Blanchard, and Wayne Shorter to study at the Thelonius Monk Institute. During her time with the institute, she performed for the State Department in Washington, D.C., and toured Viet Nam with Herbie Hancock, Wayne Shorter and Nnenna Freelon. Her first CD, "Gina Saputo" was recorded with vocal sessions produced by Grammy award nominated vocalist Tierney Sutton, who said, Gina has the talent as well as the passion to stretch and think outside the box. Featuring Grammy nominated pianist Gerald Clayton. After two successful tours of Japan, her CD has climbed to #3 on the prestigious Swing Journal charts, and has received rave reviews. She was a guest professor at Gwangju University in South Korea, and toured Japan a second time with Grammy nominated pianist Bill Cunliffe.